Heart-warming stuff that you've probably read on greeting cards and on posters next to pictures of sunrises inscribed with "Today is the first day of the rest of your life". (That's not his, by the way). Treason in our time is a proof of genius. Why, I want to know, are not traitors decorated? There is more to his writing than motivational messages. Greater complexity. A grounding in the real world. True, his works are rather slim and tend to the allegorical. His writing style is what is sometimes called (shiver) "poetry in prose". The tale for which he is best known remains The Little Prince, often described as a children's fable for adults. A whimsical story of a pilot who crashes in the desert and meets a little boy from another planet. Complete with the author's own charming sketches. Very high cuteness factor. But entertaining and with enough social satire to disarm the cynic. The author had a romantic life himself, though war and work gave him a harder edge than you might pick up from his most popular writings. 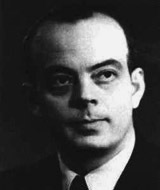 Born Antoine-Marie-Roger de Saint-Exupéry to an aristocratic family in Lyons, he was educated in France and Switzerland. He learned to fly in the military in 1921 and eventually became a commercial pilot, delivering air-mail in Europe, Africa and South America. In 1928 he became director of a remote airfield in Sahara. There he came to love the desert which formed the setting for two of his best-known works. His first novel was Courrier sud (1929, translated as Southern Mail) which combined his escapades as a pilot and in a failed love affair with a female novelist. It was adapted in 1936 for a French film, entitled Southern Carrier in English. Saint-Exupéry's next novel Vol de nuit (1931) was a thrilling tale about the men who flew the mail over the Andes. It was an international best-seller and made into a film starring Clark Gable under the novel's English title, Night Flight. Another work on the pilot's life, Terre des hommes (1939, translated as Wind, Sand and Stars) won France's Grand Prix du Roman and the U.S.'s National Book Award. 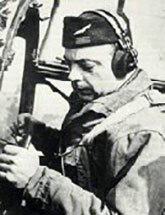 After France was occupied by Germany in World War II, Saint-Exupéry joined the army and made daring flights for which he was awarded the Croix de Guerre. Over his protests he was appointed to the national council of the collaborationist Vichy r—gime. His novel Pilote de guerre (1942, Flight to Arras) depicted his flights over German lines and was banned by France's occupiers. In 1943 he rejoined the French air force in North Africa. That year he also published Le petit prince (1943, The Little Prince). He was listed as missing in mid-1944 after his plane disappeared during a reconnaissance mission somewhere around southern France or North Africa. For sixty years speculation was that he committed suicide by crashing into his beloved Sahara, which added to his legend and helped sell his desert books. Recently however the wreckage of his plane was found in the Mediterranean Sea off Marseilles. La citadelle (translated into English as The Wisdom of the Sands) was published in 1948 based on Saint-Exupéry's unfinished manuscript. His letters, essays, collected works and selections from his works have also been published over the past half century.